VICTORIA, BC – Bring Your Porter to the Slaughter reports that Driftwood Brewery has brought back a limited edition ale that offers a wilder than usual take on an IPA. 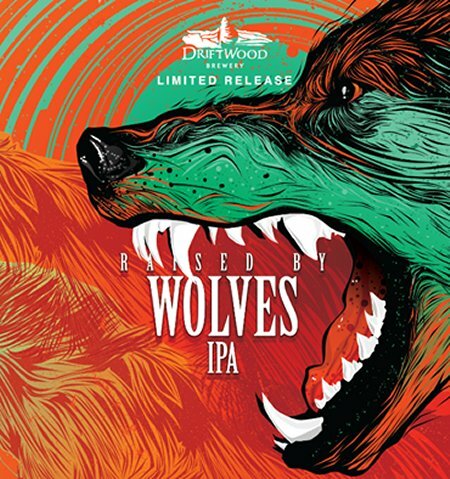 Raised By Wolves IPA is primed to pounce – like most wild things, it will not stay long. Born of Ekuanot hops and raised under the influence of Saccharomyces Trois, this beast has developed a taste for mango, citrus and melon, with a nose to match. Hear the call: this one was abandoned to the wild! Raised by Wolves is available in 650 ml bottles at the Driftwood retail store and select private liquor stores in BC while supplies last.